This is an article claiming Einstein was a plagiarist, citing the pre-existing work of other physicists, including the notions of 'relativity', mass-energy equality and conversion, superconductivity, etc, dating back to the 1870s. I don't know what you find illogical. You really can't detonate an atomic bomb on any place on the earth. It is realy an impossibillity. It has to be on a certain location on a certain time and in a certaing configuration with the sun. I have fitted a fluoride filter at home lately and take in 10l containers of that water to work. I would be consuming a very small fraction of the 1 ppm that's put in the water supply. However, natural water supplies also often have dissolved fluoride, up to 8ppm in some parts of China, which causes noticeable SF and lowered IQ. oh, yes, high doses were used to make ppl docile, I've heard that. Such doses would be toxic levels, potentially, or possibly the 8 or 10 ppm that would cripple you over some years with osteoporosis and skeletal fluorosis. The stuff will make you sick or kill you in higher doses. I can't say I was docile before when I drank tap water at 1 ppm, and I'm no different now. What worried me was the long term cumulative effect of fluoride disrupting the enzyme that lays down collagen in the skin and bones, and can potentially be causing the epidemic of osteoporosis we're seeing in the elderly. More calcium and high BMD don't mean anything if your bones don't have the right amount of collagen, and they've found that high BMD and carrying on about taking calcium supplements are not effective in preventing it. It's another 'modern medical mystery' most likely brought on by iatrogenic means, once again -- they just bury the problem because they think no-one will put 2 and 2 together, and because it affects the elderly, well, it must be a disease of normal ageing, right? Ppl haven't lived this long before, right? 'Modern physics', however you define modernity -- e.g. starting in the last 150 years or so -- includes foundational research and discovery in electromagnetism which has given us power generation and electric lights (of all kinds), wifi, computers, all other circuits, etc etc. My university physics course included a grounding in statics and kinematics, optics, nuclear physics, relativity, electronics and electrical theory, and astronomy or astrophysics. This is essentially what physics is. The technology applications are in power, thermodynamics, civil engineering, marine engineering, all ICT -- computing, electronics and wired and wireless telecommunications, etc. Without Maxwell's investigations into electromagnetics, the advances of the 20th century would not have been possible. Well,Sydney, that is my whole point.It is a good thing that you wrote that you studied physics at a university level. So I know where you are coming from. But at the same time makes it more difficult, because you have been indoctrinated into a belief system.So, I hope you will be open enough. As stated before I have also studied physics at university level and believed all the things you wrote above. However, after much research I have found it is all at least very wrong and a lot is simply untrue. And lots and lots to say about the Maxwell equations! and the things you mention, like wifi, wireless telecommunication, computing electronics etc is NOT because of modern physics at all! It looks like modern physics only pretends it is because of modern physics. There are different ways to show you this, but I will come to that in due time. Of course I am not asking to believe me on my word. But tell me this, did you believe the things they told you in physics on their 'word'? I've hardly been indoctrinated, I did a social sciences degree after that one, we studied discourse theory, which basically means analysing lies. Have a look at my posts elsewhere here on 'conspiracies'. The practice of physics and science is not one of them though. I mean, I have this thing in my hand that has all the knowledge of the world available, can make phone calls, make video calls, take photos, take videos, play music, get an FM feed from anywhere, talk to other devices, hold 10,000 contacts and 200 songs, transfer money, act as a torch, tell me the weather, order me a pizza, play games, etc. This is all largely due to discoveries originally in physics, although of course the new work is done at places like Intel, not in university physics laboratories. 90% of all scientists and technologists who have lived are alive today. If you want a conspiracy in science, you should look at the vaccine harm cover-up, and some of the quackery in medicine that doesn't work -- e.g. early breast cancer detection, calcium for osteoporosis, and on and on. How fast is really fast? If you're going by the U.S. Navy's standards, it's about 2.25 million mph (3.6 million km/h). That's how fast the Navy's giant Nike laser can move a "target" (i.e., a tiny capsule about the size of a peppercorn), according to the U.S. Defense Department. The laser pulses a super-strong beam of electrons through a mixture of gases. This speeds up the electrons and makes it possible for this beam of energy to move things at extremely high speeds. In fact, the laser moves things so quickly that it recently earned a Guinness World Records title for achieving "Highest Projectile Velocity," a distinction previously held by researchers in Japan. When the laser heats up the tiny piece of plastic foil, the target accelerates to a speed of up to 2.25 million mph (3.6 million km/h). To put that into perspective, it's over twice as fast as the fastest-spinning star in the galaxy, which rotates around at a dizzying pace of 1 million mph (1.6 million km/h). The fuel target travels a fraction of an inch (less than 1 millimeter) before arriving at its destination (its goal is to collide with another, stationary piece of foil). The impact generates an enormous amount of pressure, which compresses the fuel target. In other words, the piece of plastic foil becomes extremely dense and extremely hot, setting off fusion reactions that can be used to produce energy. If this process sounds complicated, that's because it is. 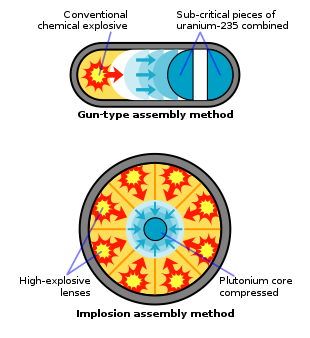 Known as inertial confinement fusion, it's one of several processes used to initiate nuclear fusion, the type of reaction that powers both stars and hydrogen bombs. The set of experiments that won the U.S. Navy its Guinness World Record title were performed nearly five years ago, according to Armed with Science, the official blog of the U.S. Department of Defense. However, researchers at the Navy Lab just recently received their certificate from Guinness World Records officials. Since then, Navy researchers have actually increased the speed at which the laser can move its target. The new "really fast" is about 2.6 million miles per hour (4.2 million km/h), according to the researchers. Duh? And why is that? I really was enjoying our polite conversation, why ruining that? i don't understand. Why are going into 'name calling mode"? Maybe you can study the works of Bruce Cathie. Just making an Ad Hominem isn't worth a thing, and in my view a sign of lack of arguments. I really mean it, We are being lied to on a massive scale, including physics. As I said, NOTHING has come out of physics, NOTHING, and besides that modern physics is full of holes and errors and overlooks it really is incredible people still believe all that crap. It's more a statement of fact -- you seem to engage in a lot of 'magical thinking', and continue to attempt to discredit demonstrated reality, and have a lot of links to other magical thinkers claiming magical and unlikely things. To some extent it is perhaps an ego defence mechanism against the complexities of modernity. But that is not unusual for posters on this site. I personally feel that engaging in 'pure' physics and 'pure' mathematics research is perhaps over-rated. Contrary to your assertions, others have collectively made a lot of arguments suggesting what physics is, and what discoveries have been made, listing several sub-disciplines, discoveries, and benefits that have shaped modern living. I don't think having a working iPhone or Android in your hand as a result of a series of discoveries and technology building on technology indicates that we are being lied to on a massive scale -- the proof is in the device. There is a blurring between physics, engineering and other technological disciplines, of course -- a smartphone uses special hardened glass discovered in the 60s, plastics developed from the 60s, capacitance effects for the touchscreen to work, massively miniaturised silicon chips to do the thinking, antenna theory for wifi, GSM and bluetooth, lithium ion batteries for charge, etc. However, a lot of these things were discovered by physicists, others by research scientists in companies that perhaps is not physics but applications of physics and chemistry. Developments in plastic and glass are more chemistry. There has always been a bit of a battle between various science disciplines about who is doing the heavy lifting. Things like the npn transistor were discovered first by physicists poking around. There are continuing breakthroughs in things like battery technology where the development of new anode and cathode materials promise 10x current capacities and 10x charging rates. Then there's nanotechnology. But someone like Steve Jobs is (/was) pulling together a whole bunch of technologists and techniques to make an iPhone -- use of plastics, aluminium, hardened glass, engineering design, then the actual micro-miniaturised guts of the thing, and a lot of GUI programming. Quite a few of those guys are physics nerds, or did service subjects in physics along with other science subjects in order to produce these technologies. A company like Intel revolves around discoveries made in physics. The youtube doesn't work because phpbb doesn't want to know about 'https' SSL links -- if you just edit the s out so it's 'http' then it should work. Can you enlighten us all about how quantum mechanics is 'wrong', by the way? Given that one application of the theory has given us fluorescent lighting technology, which seems to work OK. And in fact the very property of 'colour' is to do with reflected quanta of light from molecules which produces specific frequencies. Can you also demonstrate how you've manage to disprove the theory of 'relativity', when others haven't yet figured out how to do so? Not that the theory is necessarily correct either, it's just that it's hard to prove or disprove when you need to get to colossal speeds to verify it. And what other aspects of physics are hokum and lies? In detail, and why. e.g. astronomy is arguably a branch of physics, which is quite simply the study of massive gravitational bodies in the universe and explaining their motion and make-up etc -- for many centuries, people just watched the stars and wondered how they moved in the firmament and anthropomorphised them, believed space was full of ether, that the earth was the centre of the universe, and so on. Earlier studies of the planets' movements came up with extravagant attempts to explain why the heavenly bodies danced around the sky the way they did. Galileo studied the moons of Jupiter through a telescope -- optics is still part of the physics curriculum. Newton worked out the principles of gravitational attraction, calculated that it reduced with the square of distance, and so on. Force theory came into being, as did calculus. These things together let us postulate a new model of the universe based on the simple force of gravity and the physics of centripetal forces which in turn allows the Rosetta probe to do what it does in terms of calculating trajectories. In turn, spectrometry can do everything from telling us the makeup of planets, stars and nebulae to giving us the breakdown of elements in a steel casting. Reversing the telescope, microscopes let us look at tiny micro-organisms for the first time, immune cells, viral particles, DNA, and so on, and even molecular structures using electron microscopy -- also an application of physics -- from which we can adduce properties of materials and make still more new materials. This allowed for the creation of 'germ theory' at a time when doctors didn't even really believe in 'germs' and didn't know what caused post-surgical infections. You ignore all this, and simply state that you can retune your own DNA -- which is BS -- using the magnetic field of the earth (another physics discovery) and the discovery of the double helix of DNA was done using methods of X-ray examination relying on 'modern physics'. Then there is NMR, MRI, X-rays, etc etc, all developments of 'modern physics'. You appear to be saying these things are all bunkum and don't work, and you so far have completely failed to even define what you mean by modern physics, thus making the entire thread pretty useless and moot. The bipolar point-contact transistor was invented in December 1947 at the Bell Telephone Laboratories by John Bardeen and Walter Brattain under the direction of William Shockley. The junction version known as the bipolar junction transistor, invented by Shockley in 1948, enjoyed three decades as the device of choice in the design of discrete and integrated circuits. John Bardeen (May 23, 1908 – January 30, 1991) was an American physicist and electrical engineer, the only person to have won the Nobel Prize in Physics twice: first in 1956 with William Shockley and Walter Brattain for the invention of the transistor; and again in 1972 with Leon N Cooper and John Robert Schrieffer for a fundamental theory of conventional superconductivity known as the BCS theory. The transistor revolutionized the electronics industry, allowing the Information Age to occur, and made possible the development of almost every modern electronic device, from telephones to computers to missiles. Bardeen's developments in superconductivity, which won him his second Nobel, are used in Nuclear Magnetic Resonance Spectroscopy (NMR) or its medical sub-tool magnetic resonance imaging (MRI). In 1990, John Bardeen appeared on LIFE Magazine's list of "100 Most Influential Americans of the Century." Walter Houser Brattain (February 10, 1902 – October 13, 1987) was an American physicist at Bell Labs who, along with John Bardeen and William Shockley, invented the transistor. They shared the 1956 Nobel Prize in Physics for their invention. He devoted much of his life to research on surface states. William Bradford Shockley Jr. (February 13, 1910 – August 12, 1989) was an American physicist and inventor. Along with John Bardeen and Walter Houser Brattain, Shockley co-invented the transistor, for which all three were awarded the 1956 Nobel Prize in Physics. Shockley's attempts to commercialize a new transistor design in the 1950s and 1960s led to California's "Silicon Valley" becoming a hotbed of electronics innovation. Enrisdynsamough wrote: Ok, About this one then. Can you also demonstrate how you've manage to disprove the theory of 'relativity', when others haven't yet figured out how to do so? Not that the theory is necessarily correct either, it's just that it's hard to prove or disprove when you need to get to colossal speeds to verify it. Your latter statement is really not true. There are other ways. Well, the theory has to be verified by experiments, right? What always struck me in the textbooks was that there was no real history behind anything, Only one perfect story. That should be a clu as well. What if the experiments weren't done right? what if they massaged the data? Well, the problem is that the data were massaged and there where other things surpressed. So, was the data massaged by Eddington with regards to the sun eclips. Of course in favor of the idiotic theory of einstein. It should supposedly have proved that space can curve. Think about that one! Space can't curve of course, it is an imposibility! And then there were experiments done with time-delay and clocks in airplanes. And the experiments should have confirmed the theory. Louis Essen, elected FRS for developing the Caesium Clock, wrote to Nature that the alleged confirmation of Relativity by the gentlemen who took Caesium Clocks round the world by airplane was bogus because the caesium clock did not have the claimed accuracy. Nature refused to publish, preferring the PC 'confirmation' of relativity to stand. So you see, there is definitely something wrong with this very stupid relativity theory. Yes, that's all quite possible, I wouldn't rule any of it out. The instruments both at Principe and on the planes may well have not been precise or accurate enough to even capture the raw data correctly. I am also very critical of 'vaccine science' and particularly alleged safety and net benefits. Behind the fake science and discourses of course is the reality, the truth and real science and scientists. you're getting perilously close to a site ban for trolling and being a time waster, Enrisdynsamough. Removing all your posts would certainly return some logic to the place. OK, I'll stop reading, despite your earnest regrets. Although your definition of 'modern physics' (so-called) is clearly inaccurate or outright wrong. You don't seem to understand the sub-disciplines classified under physics, including nuclear, astronomy and astrophysics, properties of materials in the case of examples like the development of silicon chips and other new materials, and so on and so on. One could include the development of all electronics components in there, LCD screens, etc etc. If you had started a thread saying 'I believe Einsteinian relativistic physics is wrong' that would be a whole other ball game, but I had to post in an article myself (which I've read some time ago out of curiosity and thought about in terms of who Einstein was and his work background) to actually bring that out. Nor have you indicated how you might disprove it or why Einsteinian physics might be fallacious based on Eddington's observations, etc. But instead you've titled it 'Nothing useful has come out of modern physics'. And you've gone on to try to smear the researchers who came up with silicon chips, claiming they stole the idea from someone else, although they were all physicists and electrical engineers. In that case, clearly then the person they stole it from was a modern physicist. The physics has to start somewhere. So, definitely time-wasting, if not trolling. No one really knows whether Lilienfeld ever tried to build his device. Even if he did, the device would not have worked well, if at all, since the production of high-quality semiconductor materials was still decades away. Thus, in the 1920s and 1930s, Lilienfeld’s solid-state amplifier ideas had no practical value to the radio industry. Like so many patents, Lilienfeld’s went into obscurity. Nevertheless, his ideas embody the principles of the modern-day, field-effect transistor (FET). Little is known of the intellectual journey that led Lilienfeld to his field-effect approach to solid-state amplification. Even the details of his life are sketchy. Like so many pioneers in solid-state electronics, Lilienfeld was an accomplished physicist. Born in Poland in 1881, he obtained his Ph.D. in 1905 at the University of Berlin. In 1910, he became a physics professor at the University of Leipzig. Similarly, someone in 1900 might have conceived of a flat screen TV, i.e. a flat visual device that showed scenes from far away, but had absolutely no way of realising it. Lilienfeld was actually a professor of physics as per the article you cited. as noted, it was clear to him that valve transistors were always going to be large, clunky and fragile, and proposed a solid state field effect transistor of some sort, although had no knowledge of using doped silicon and quantum electrical effects as the medium. For nearly two decades, Lilienfeld’s field-effect approach lay buried and forgotten. Then, in 1947, it reached out from the grave to shape Bell Telephone Laboratories’ (BTL) patent strategy on the transistor. In the process, it frustrated William Shockley’s grand ambition. Although the vacuum tube had made long distance telephony possible, Bell Telephone was keenly aware of the tube’s limitations. In the late 1930s, Shockley began looking for a solid-state version of the triode, but with little success. At the end of World War II, he was in charge of a group pursuing a solid state-amplifying device. Shockley now focused his attention on using an electric field as the “valve” to control the flow of electrons through a semiconductor. His theoretical analysis convinced him and others that it should work. Shockley’s solid-state group, which included John Bardeen and Walter Brattain, struggled to turn the field-effect, semiconductor amplifier into a working prototype, but they failed. Along the way, Bardeen and Brattain developed new theoretical insights and a different design — the point-contact transistor or “bipolar transistor,” as it became known. The moment Bardeen and Brattain had proven the point-contact transistor to Bell senior management, BTL drew up a patent application. Then, out of the blue, Shockley summoned Bardeen and Brattain separately to his office. According to Lillian Hoddeson and Vicki Daitch, authors of a recent biography of John Bardeen, Shockley informed each of them individually “that he could write a patent — starting with the field effect — on the whole thing,” adding that “sometimes the people who do the work don’t get the credit for it.” Bardeen and Brattain were stunned. Shockley believed that the first BTL patent for a solid-state amplifier should be based on the conceptual model of the field-effect that he had developed and that he should be named the inventor. BTL lawyers balked at Shockley’s request, having unearthed Julius Edgar Lilienfeld’s patents. The idea of using an electric field as a “grid” was not new. Shockley had not been the first to suggest using a field-effect approach. However, in Bardeen and Brattain’s prototype it was the “holes” that acted as a kind of grid, and that was new. So BTL’s first patent went with the point-contact transistor. The events that followed Bardeen and Brattain’s invention of the bipolar, point-contact transistor took many unexpected twists and turns. Shockley did not put all his eggs in the field-effect basket. Not to be outdone by Bardeen and Brattain, Shockley secretly worked on a different bipolar device. Within a short time, his patent for the bipolar junction transistor had wiped out all commercial interest in the point-contact transistor. Shockley remained committed to the value of his field-effect theory, but was unable to make a go of it. More than 15 years of material technology advances would be needed before the first practical FET appeared. Today, 75 years after Lilienfeld’s work, Metal-Oxide Silicon (MOS) transistors, which are built around field-effect principles, dominate semiconductor electronics. So your observations, especially the final ones, are strange and meaningless. yes, I see, you're nuts.